Do you like surprises? Come see what's happening in this fast growing Sun Belt city. On a sunny winter morning in North Florida, temperatures have already climbed up into the 70's, and down along the St. Johns River, Jacksonville is having its weekly farmers market. This happens every Saturday, year-round, as part of the city's popular Riverside Arts Market; underneath a soaring highway overpass, people are lining up for organic Meyer lemons, kale, freshly-baked morning rolls, locally-grown rice and Filipino lunch plates; one of the city's dozen-plus microbreweries has its mobile taps out, because 10 o'clock in the morning is really not too early for beer, not when it's good beer, anyway. If you blindfolded someone, dropped them down here, and asked them to figure out where they were, they might guess Northern California before this part of Florida—that is, until they have the opportunity to get to know Jacksonville a little better. This is not something a ton of people are looking to do, if we're honest; while the region is growing faster than most, outperforming other places in the Sun Belt, even, Jacksonville, with all it has going on at the moment, has yet to break out as a must-see destination. Too cold, too far north to belong to the Florida of our imagination, not nearly Southern enough for the South, Jacksonville, despite being close to a lot of things people might know (Amelia Island, St. Augustine, even Orlando isn't that far away) remains pretty much off on its own, doing its own thing, which for years meant it was kind of, well, nowhere. Cut to the present day, and you have all this growth, all these people piling in from everywhere—turns out, Jacksonville's outsider status, and the relatively low cost of living here, has made it a natural fit for a stream of doers and makers, for creative, often quite young entrepreneurs either attracted here for the very first time, or lured back home by the promise of change. 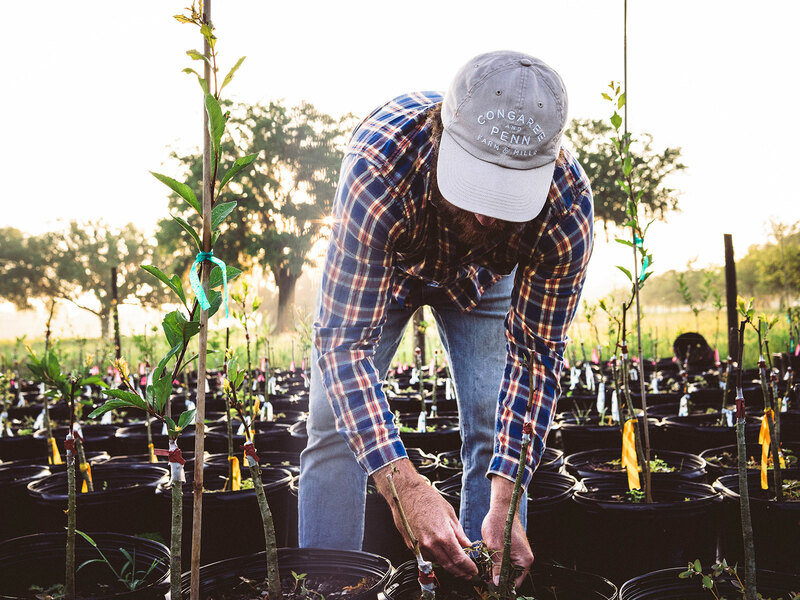 There is something exciting about the opportunity to grow with a city, rather than have to claw your way in, and then there is that abundant sunshine to consider, particularly at this time of year. As Jacksonville evolves and matures, so has the regional palate—one of the greatest surprises out of many, spending time in the city today, is just how much good stuff is going on here, how much there is worth eating and drinking. Should you find yourself here now, consider yourself just a little bit lucky—and then go check out these terrific spots. Every Saturday, all year long, one of the city's best social events takes place in a parking lot next door to the impressive Cummer Museum of Art & Gardens. Look for top-notch local purveyors like Congaree & Penn (locally grown rice) and Flour & Fig (baked goods, pestos, and more—look for their first brick and mortar location, coming this year). Everyone expected big things when Chef Tom Gray struck out from local stalwart Bistro Aix in 2012—a good few years and one crowd-pleasing project out in the suburbs later, Gray is back to his San Marco roots with this alluring neighborhood bistro. The New American menu is good, but more important, this feels like the place to be right now. 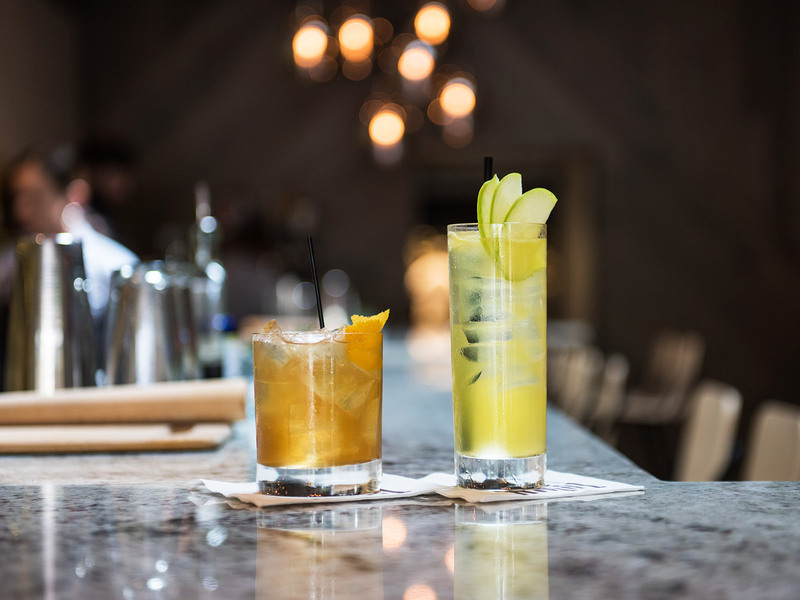 The boulevard of broken dreams is lined with failed restaurant concepts dreamed up by Top Chef grads, but Kenny Gilbert (Season 7) has notably managed to strike the sweet spot not once, but four times now, here in the Jacksonville area. 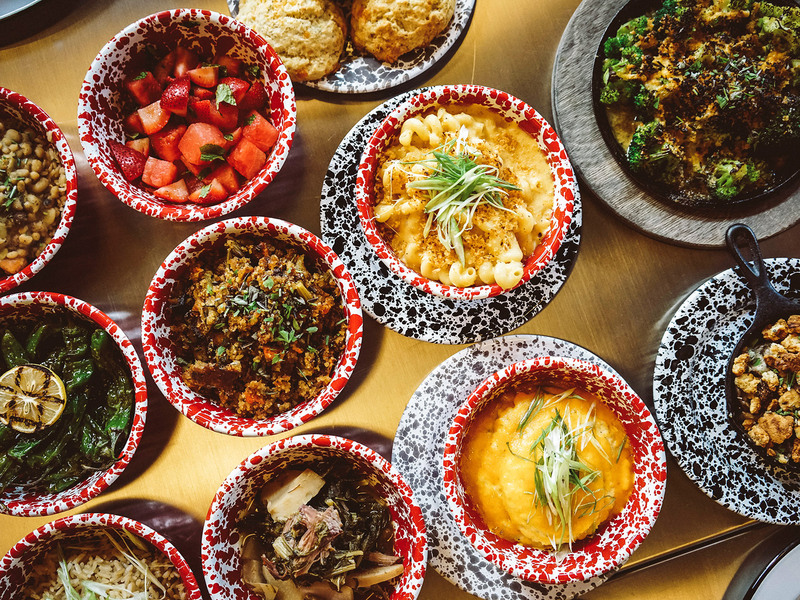 This casual spot out on the city fringe is home to an ambitious menu, featuring destination-worthy musts like roasted, Moroccan-spiced cauliflower, smoked fried chicken, and a daring ham hock ramen. It's not the showiest new restaurant in town (for that, look to the slick River & Post, or downtown's Cowford Chophouse), but Chef Kerri Rogers and the team behind some of the city's most talked-about restaurants in recent years (Black Sheep, Orsay) have certainly created one of the most interesting restaurants to open recently in the revitalizing city center. Try the fried shrimp and grits, made with rice middlins from Congaree & Penn. Meredith Corey-Disch's locally-pioneering organic bakery began as a stall at the Saturday market; today it's an essential gathering place in Jacksonville's historic Murray Hill neighborhood. Stop by for egg sandwiches with locally-made cheese at breakfast, or a slice of quiche at lunch; on your way out, buy all of the bread. This accessible, friendly and fun new French spot from Chef Scott Alter and partner (in life and in business) Gabrielle Saul is a solid choice for a late-ish dinner, but definitely don't overlook their popular brunch. Whenver you come, make some time for the pastry case; pick out a selection of macarons to go. Courtesy of Sindy Gonzalez, Verance Photography. 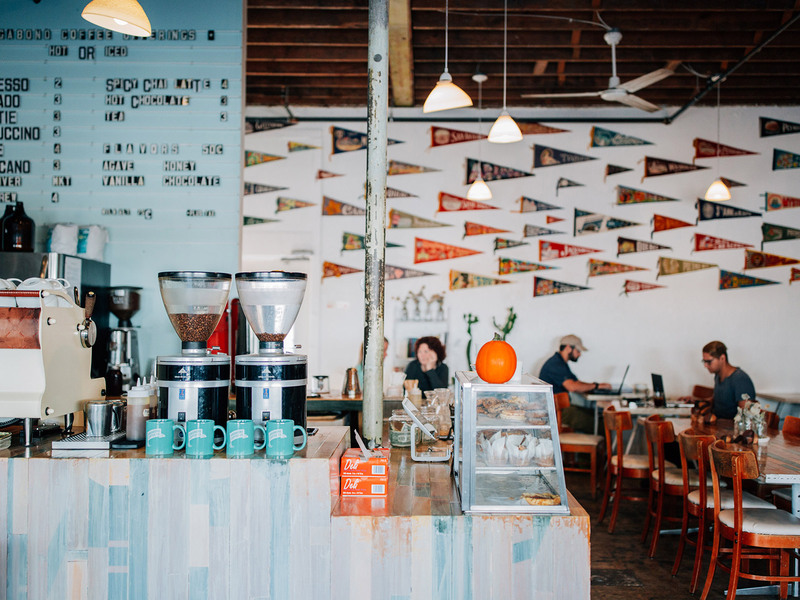 Samantha and Will Morgan's sunny, welcoming cafe is a terrific addition to the city's Murray Hill section—Jacksonville's best coffee shop right now (it's an easy call) began life operating out of a vintage camper in a downtown park. This is a great place to relax, watch the world go by, or maybe even get some work done during the day; the house made pop tarts (and other baked good) will keep you more than happy. With treasured local institution Maple Street Biscuit Company (if you don't go for breakfast at least once while you're here, you did it wrong) now being exported all over the South, founders Gus Evans and Scott Moore are on to the next challenge, and this time, they're letting Latin flavors be their inspiration. From a creamy roasted corn dip to a 'chorizo' spiced jackfruit sandwich, there are some seriously interesting things happening on this menu; after the success of their first idea, definitely keep an eye on this one.